1. Print out this PDF. 2. 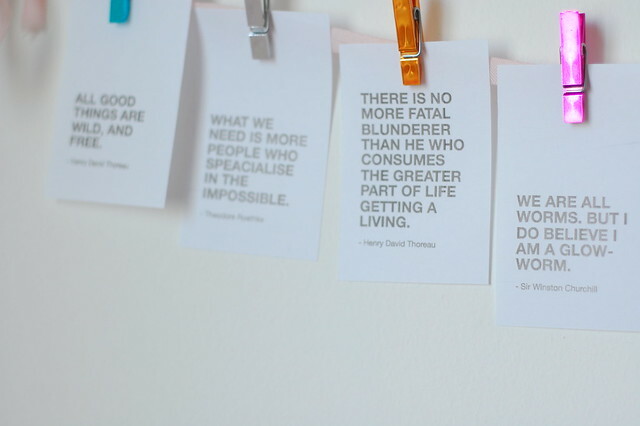 Cut out the quotation cards (I recommend a ruler & craft knife). 3. 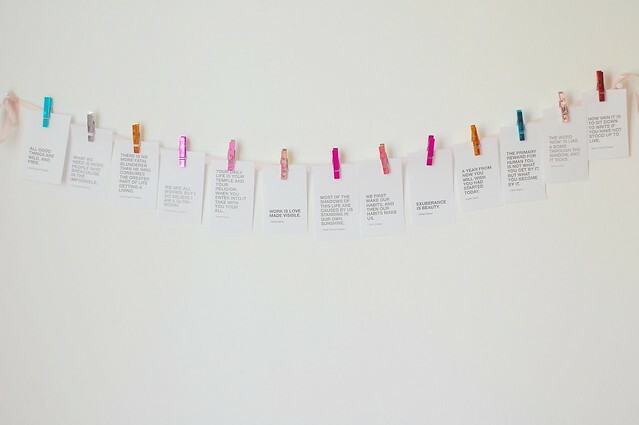 String up some ribbon on your wall or corkboard. 4. Peg the cards onto the string. So here is my slightly Victorian motivation wall with a preponderance of Thoreau and Gibran. This is a project I’ve had in mind for such a long time & it’s almost embarrassingly easy to execute. I just pasted a few quotes into a Pages template et voila! Sometimes a sentence is all it takes TO DO IT. 26th April, 2011 // Inspiration // tags: download, free, printables, quotations, quotes. KnitLove vol. 2 has been updated! 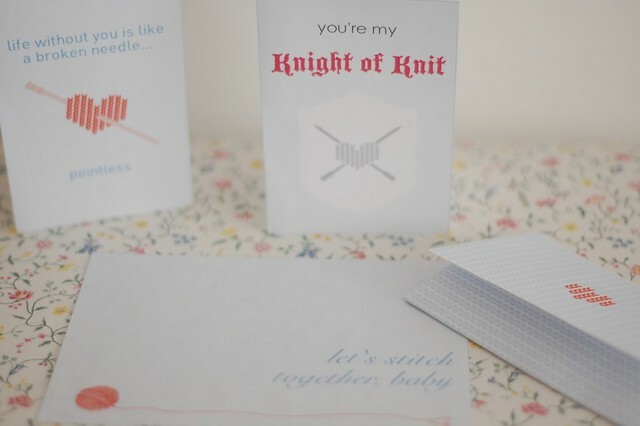 I added a brand new card design (‘You’re my Knight of Knit’), a liner for the envelope, and some stickers to seal it, and took some new photos, because I wasn’t too happy with the old ones. 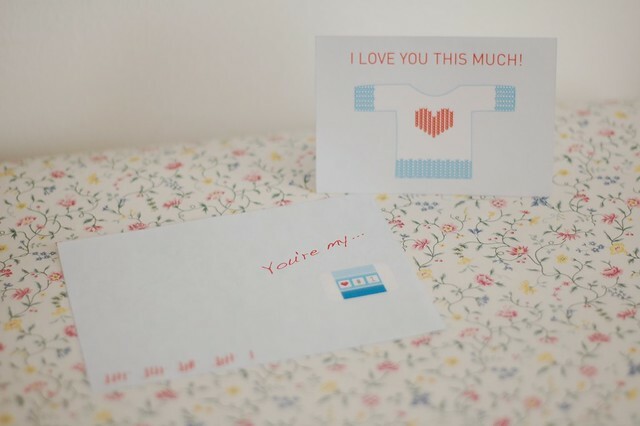 The collection was originally designed for Valentine’s Day, but I think the cards would bring a smile at any time of year. Besides, you can always use them as notelets, if you don’t fold them up. Volume 2 costs £4, but shhh, blog readers can use this extra-special discount code to get £1 off: VALENTINE11. 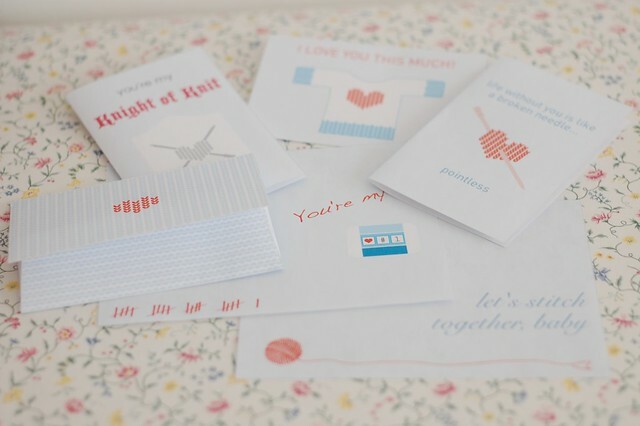 All because I ♥ you, knitters! :) Happy Valentine’s Day! 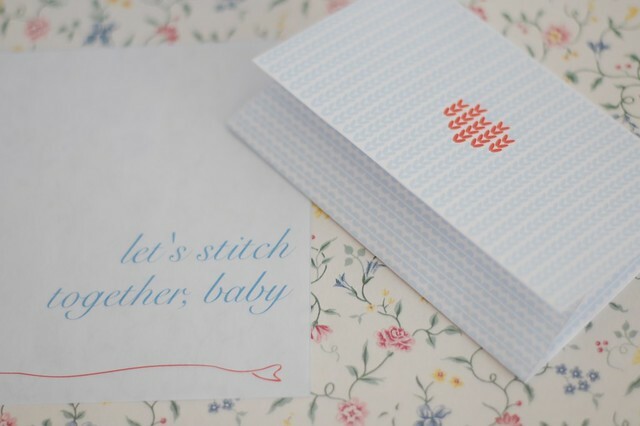 11th February, 2011 // Downloads // tags: Cards, download, knitting, knitting stationary, love, printables. Every knitter knows this is the best possible advice in all circumstances. Even if you’re procrastinating by knitting, hey, at least you’ll have a jumper by the end of it! If you’re a strung out, tangled-up, deadline-bound knitwear designer, every time you look at this poster I hope it will remind you to take a deep breath and remember why you love knitting. See number 1? It’s calming. 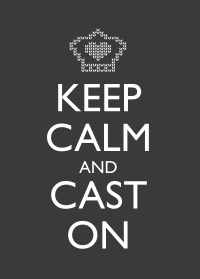 If you’re snowed under with Christmas knitting/shopping/carding, if you’re annoyed at someone, or if you’ve just been dumped (ahem), keep calm and cast on. Stiff upper lip, darlings. Click on any of the thumbnails to download a PDF file of the poster. Then print away! 8th December, 2009 // Downloads, Inspiration // tags: christmas, crown, download, free, keep calm and cast on, poster, printables.